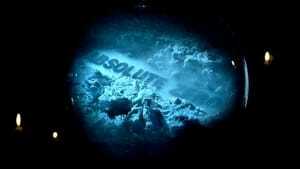 It's an Oddworld after all. Lorne Lanning and Sherry McKenna, co-founders of Oddworld Inhabitants, have created a video game franchise unlike any other. Fans worldwide have embraced Abe and Munch, the spunky characters who battle the forces of evil with little more than their wits. 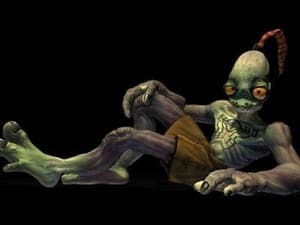 Lorne, Sherry and other insiders reveal long-held secrets behind some of the games' biggest mysteries and recall the fierce backlash that hit when Abe moved from PlayStation to Xbox. In 1979, a young Japanese game designer named Toru Iwatani had the desire to create a non-violent arcade game that would appeal to everyone. 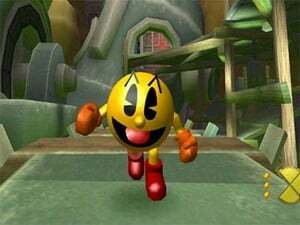 Originally called "Puck-Man" in Japan, the name was changed to "Pac-Man" by the time the game hit the United States in October 1980. The moment Pac-Man landed on U.S. shores Americans were hit with "Pac-Man Fever." As the fever grew, so did revenues for arcade owners and Pac-Man merchandise retailers. But by the mid 1980s, the arcade industry saw a sharp drop in profits as the home console era began. Atari's home version of Pac-Man for the Atari VCS was one of the best-selling games in Atari's history. 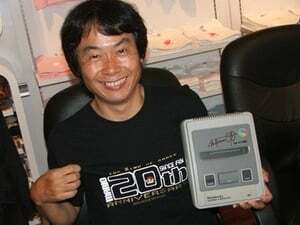 Since then, Pac-Man has been released on almost every console imaginable. Dubbed "Indiana Jane" before her 1996 release in the United States, Lara Croft kicked the door open for open for an army of other video game heroines who are tough - and beautiful. The Tomb Raider series, which continues with the upcoming The Angel of Darkness, has legions of male and female fans. On this episode of "Icons" you'll learn the secrets behind the dazzling facade through interviews with Eidos insiders Adrian Smith ("We always thought that the consumers wouldn't believe for one moment we were going to kill Lara off. "), Paul Baldwin ("The original game concept was in fact turned down. "), and Rob Dyer ("We were more concerned it was going to turn off guys."). 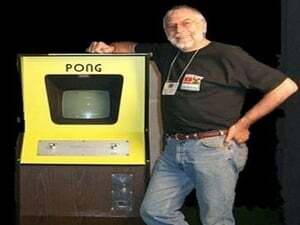 Founded by four former Atari vets in 1980, Activision dominated the video game industry with smash-hit titles like Pitfall!, River Raid and Kaboom! Rocked by an industry downturn and business missteps, the company floundered until it was purchased by a group headed by Robert Kotick ("Everybody was asking me whether I was mad, you know. Why was I going off and doing this?"). But Kotick proved his doubters wrong and turned the failing game company into one of the world's most successful video game publishers. Fans worldwide have embraced EverQuest since its debut in March of 1999. The enchanting land of Norrath--populated by humans, gnomes, elves and other incredible creatures--is also home to as many as 40,000 players at a given time. On this episode of "Icons," we'll learn the stories behind the conceptualization of EverQuest, how its creators convinced Sony Online Entertainment that Ultima Online was not the ultimate in massive multiplayer online gaming, and what the future holds for this fantasy world. In just seven short years, the video game company Bioware, formed by Ray Muzyka and Greg Zeschuk, has become one of the most respected and fastest-growing companies in the video game business. Best known for their submersive role-playing games, Bioware strives to push the envelope combining the best of technology and epic story-telling. Before they became a part of the biggest-selling PC video game franchise in the world, Will Wright's Sims games were met with skepticism by the very companies who would later launch them. Learn how Wright's endless curiosity led to one of the most curious series of games, how the term "God Game" was coined, and where the seemingly endless series of Sims games and expansion packs are leading. Industry insiders, fellow game creators and family members help Will Wright tell his compelling story. Women are finding careers behind the scenes as producers, designers and even CEOs of gaming companies. But their rise to the top hasn't always been easy. These eight women--Sherry McKenna, Elaine Hodgson, Caroline Esmurdoc, Patricia Pizer, Amy Farris, Beth Llewelyn, Felice Standifer and Kathy Vrabeck--share their stories, from being asked to serve coffee to sharing a restroom. And more than ever, women are going online. The popularity of massively multiplayer online games like EverQuest are attracting more women gamers. As the gaming industry grows, so do opportunities for women. Find out how two Princeton graduates, Ted Price and Alex Hastings, created a budding gaming dynasty with Insomniac Games. Get the history on how Insomniac got off the ground, despite a less than stellar start with their PlayStation first-person shooter, Disruptor. You'll also find out why Spyro is purple, and we've got a special sneak look at their latest hit in the making, Rachet & Clank. 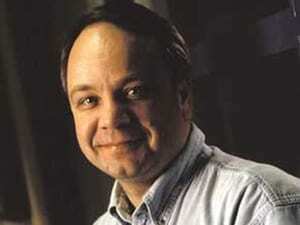 Sid Meier launched his first game company, Microprose, in 1982 on a dare from friend Bill Stealy. Over the next decade, Meier and Stealy created flight simulator games and developed a solid reputation for making games that had simple but addictive gameplay. By 1996, Micrprose had grown into a multi-million dollar company, but Meier, always the creative force, grew disenchanted with the business. He left Microprose to start his own small development company, Firaxis Games, which has allowed Meier to create fun and intelligent computer games, enjoyed by millions. The land of Britannia; a realm of magic, mystery, intrigue, and adventure. Who created this world? How did it begin? Find out the true story behind Richard Garriott, the man responsible for jumpstarting the PC role-playing game genre, and the creator of the Ultima series. Very few people can say that they've honed their gamemaking skills alongside a gaming god. But that's exactly what Bruce Shelley did. After getting a start in the industry by helping Sid Meier create games such as Railroad Tycoon and Civilization, he went on to create the critically acclaimed Age of Empires series. We follow his career from his board game making start to Ensemble's latest game, Age of Mythology. Presenting the history of the Madden football franchise, from its humble beginnings on the Apple II to the realistic powerhouse that it is today, you'll get all the details on how this series came to be. Featuring interviews with the developers and behind-the-scenes footage from the past. Introducing the first in a series of Icons specials that feature the latest and greatest games, developers, and companies of today. For our premiere episode we'll take an in-depth look at the creation of the critically-acclaimed stealth action game, Tom Clancy's Splinter Cell. Catch a glimpse of how the development team went from the drawing board to the final gold. When Universal Interactive decided to make a game based on "The Lord of the Rings" trilogy, they realized that it would take a special effort to bring the game to life. This is the story behind the painstaking effort the led to the creation of "The Lord of the Rings: Fellowship of the Ring".